Guess who's back, back again, Tomlin's back, tell a friend! 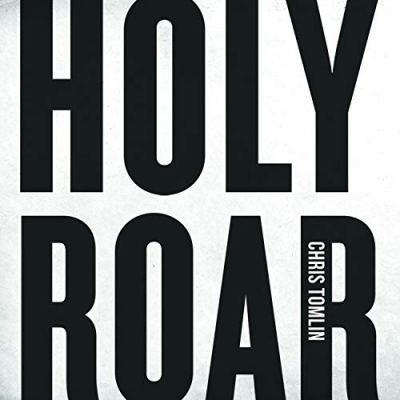 Worship Leader Chris Tomlin has released his new album 'Holy Roar'. The new album features 12 songs including the single 'Resurrection Power' and title track 'Holy Roar', and features Nicole Serrano and Pat Barrett. "It's Chris's prayer that these songs will bless you all. HOLY ROAR is every voice together, changing the way we worship", says Capitol Christian Music Group. Read More Guess who's back, back again, Tomlin's back, tell a friend! Worship Leader Chris Tomlin has released his new album 'Holy Roar'. The new album features 12 songs including the single 'Resurrection Power' and title track 'Holy Roar', and features Nicole Serrano and Pat Barrett. I'm not sure these songs will change the way we worship. It's a funny old statement and I think there is more to how we worship than just the music on an album, but I'll let someone who is cleverer than me write a book on that! This is a Tomlin album much like any other Tomlin album. Strong lyrics that are all about God and taking the listener closer with solid melodies and easy to pick up choruses. Musically I would say this doesn't really push the creative purses too far and if anything, in the track 'Satisfied' it really falls into the pop/rock worship sound with too much ease. Yet this album really does have some amazing moments. 'Holy Roar' is a song that will take you away into a time of praise, and I love the piano sounds in 'Resurrection Power'. But it's the tracks 'Impact' and 'Is He Worthy' that for me are worth getting this album for. If you love Chris Tomlin albums, you will certainly love this album. This is Chris Tomlin doing what he does best. He takes the listener closer to God with lyrics that are deep in biblical truth and music that isn't too difficult to pick up and enjoy. Welcome back Mr Tomlin. Here is Chris Tomlin's video for 'Nobody Loves Me Like You' from the upcoming album 'HOLY ROAR'.